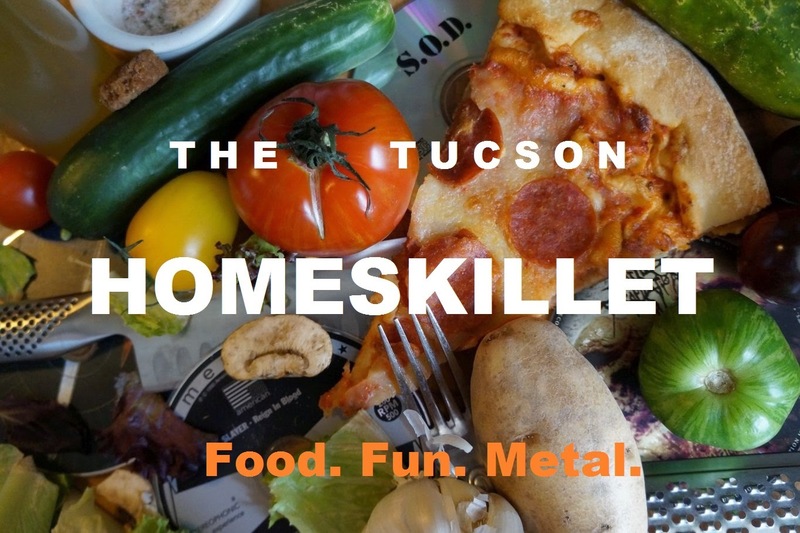 The Tucson Homeskillet: Nacho Average Fry! Oh the glory of our fast food challenges. Its been a while but we felt that this particular one needed some attention. Yeah we don't know either. In a very strange way I suppose the new / limited time only Taco Bell offering of Nacho Fries could be an attempt to cash in on the already waning poutine craze but, honestly, their intentions seems a bit shallow. 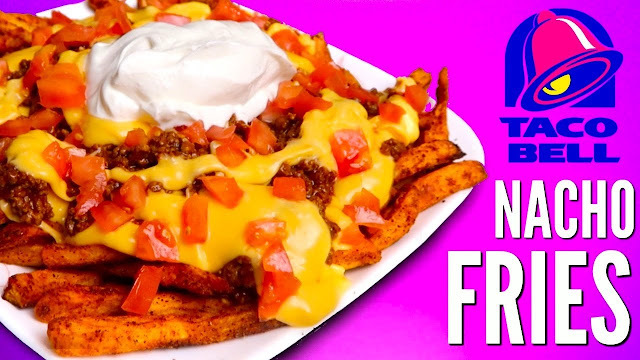 When Taco Bell announced that they were doing fries (which they kind of did before but not to this level of 'holy crap') the fooder interwebs went a bit nuts. Personally, I have never had a TB fry but, hey, if food bloggers and such started to loose their collective marbles because a "Mexican" food chain is doing fries, I guess we had better investigate. But people also loose their minds when the McRib makes its return. And those things are straight garbage. Pork "meat" shaped into a rib like configuration and served with pickles on a stale roll of sadness? Best part is that the Nacho Fries are on the dollar menu so I ordered up a bunch for a Super Bowl potluck. For a dollar or so more you can get "Nacho Fries Supreme" which are the fries covered in melted cheese, seasoned beef and tomatoes. So I got some of those as well. 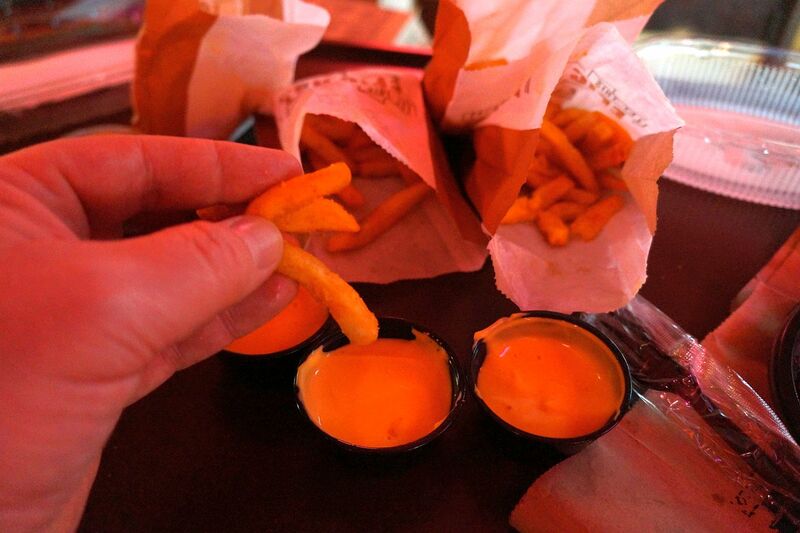 The Nacho Fries alone are just served with their nacho cheese and, well, you've most likely had some of that. It's just industrial, possibly canned or from large bags, "cheese" that has been sort of spiced up but not really. But for a buck...whatever. I will say the fries are not bad. They are pretty pillowy, decently seasoned, and you get a good amount for what you pay for. If you like your fries soft then these guys are gonna make you really happy. 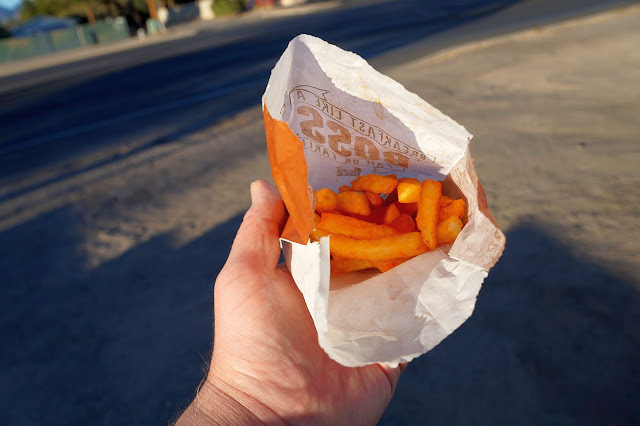 They don't stick out straight like most fast food fries; these guys are squishy and floppy, so prepare for some nacho fry droopage. Otherwise, folks seemed to enjoy them for what they were and went well with the Eagles finally taking down Tom Brady and the Cheatriots. 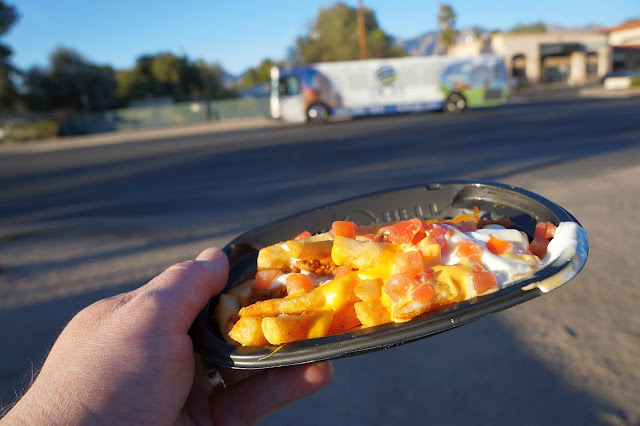 The Nacho Fries Supreme were awful. Not too sure how or why, but having those flabby mashed potato like strings slowly dying under the ponderous glerf of electric yellow cheese squirt, taco poo beef, poorly cut tomatoes and sour cream goo just sent us into a tailspin of "Fxxk this!" There really was no redemption here. 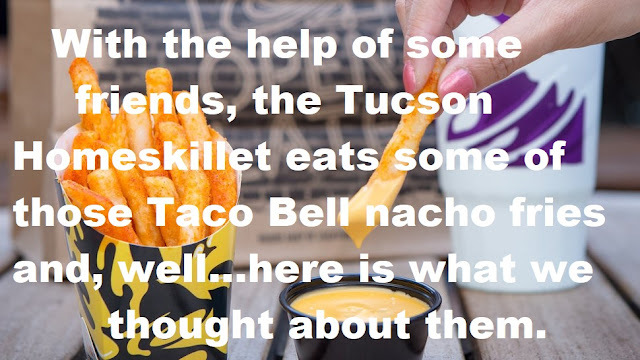 Ya'll done messed up Taco Bell! Yuck! If you are craving their fries just stick with the nacho variety and avoid paying a bit more to be insulted, palate wise. So glad this crap is for a limited time only. Because our limited time with this crud seemed like endless days upon days of taste bud slathering dread. Here you go passing bus....you can have it!